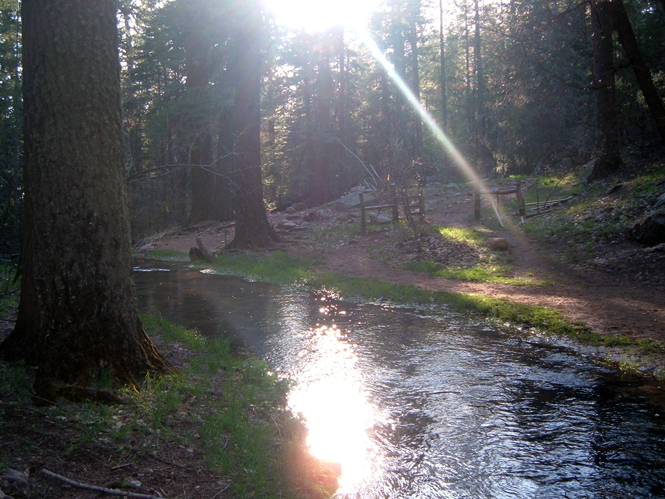 A few months ago, Josh, Michael, and I went backpacking up in Payson. I took a few pictures. I’ll put them all up here… someday. But here are a few that I really liked. I took this one on the second (and last) day of our trip, before we started hiking back to our car (incidentally, it was a 4-mile trip, but we travelled 12 miles. That’s another story though). It was early in the morning. The morning air was fresh, clean, cool and crisp. The only thing you could hear was the chirping of the birds and the bubbling of the creek as it gushed out of the side of the hill. 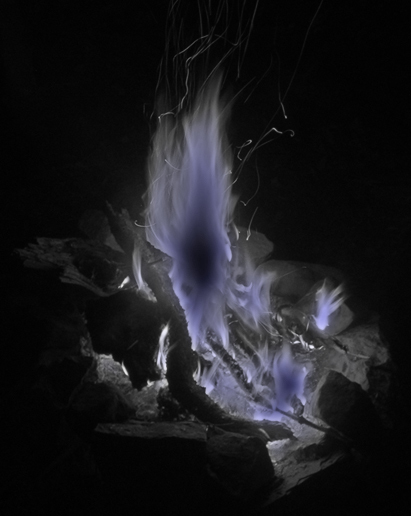 This is a picture of our campfire. It kept us pretty warm. Initially we couldn’t find that much wood for it. So Josh and I scavenged around for some wood. We found a few dead trees, and then we used this huge rock to break some of them into pieces that we could carry. 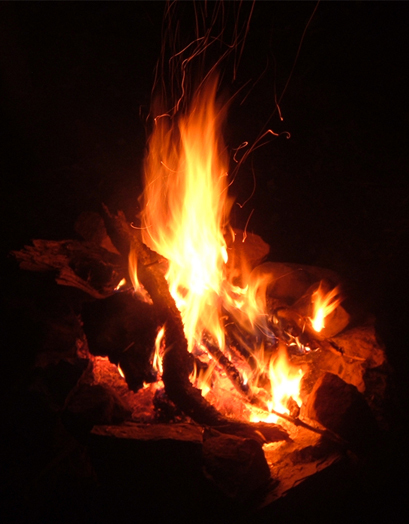 We sat around the fire drinking beer and whisky, and simply talking. A wonderful experience.